TribalVision is proud to announce that their work as a world-class digital marketing firm has caught the attention of Clutch, a third-party ratings and review firm based in Washington, D.C. Clutch conducts research on B2B services providers, such as digital marketing agencies and PR firms, and ranks them based on their ability to deliver the best services to their clients. 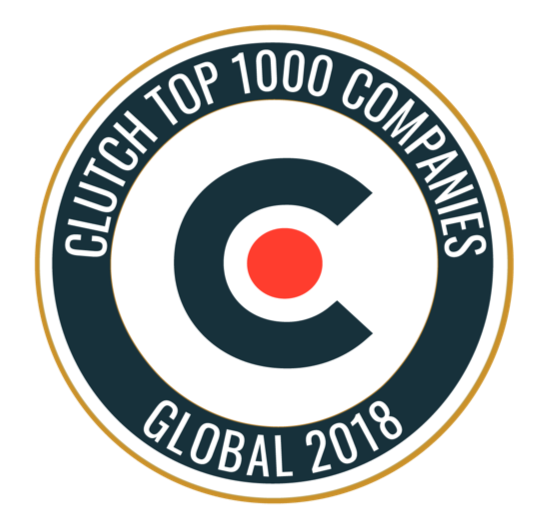 After a comprehensive review, Clutch has accredited the firm as being one of the leading digital marketing firms in the Boston metro area and has named TribalVision to the Clutch Top 1000 Companies List for 2018, with TribalVision’s high ratings due to client satisfaction and tangible results. In addition to being rated so favorably on the Clutch database, TribalVision’s work has also been featured on their sister site, The Manifest, and their new partner portfolio website, Visual Objects. Here, TribalVision is acknowledged as being among leading digital strategy agencies in Boston – as well as one of the leading digital marketing agencies.